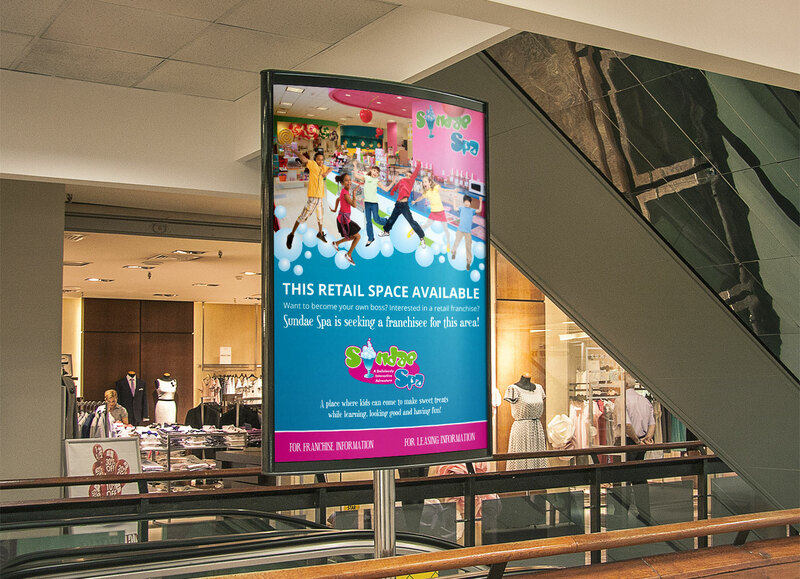 In the fall of 2013, Sundae Spa chose GEM Advertising to promote the opening of its new flagship store at the Westfield Connecticut Post Mall in Milford, Connecticut. Sundae Spa is a spa and salon for children - a place where kids can come to make sweet treats, while learning, looking good and having fun. After having enjoyed years of success in its first store, it was time to franchise internationally. This first flagship store would serve as a blueprint for many stores to come, and the grand opening had to be spectacular. With much on the line, GEM went to work designing a grand opening launch that would capitalize on the vibrant social media community that GEM had helped build since 2011. Since the target market for Sundae Spa is mothers of pre-teenage girls, Facebook proved to be the outstanding media hub for all of Sundae Spa’s marketing efforts. GEM’s Social Media team went to work building the new location’s Facebook page from scratch, and elevated it to over two thousand Likes in only thirty days leading up to the grand opening. Using Facebook and other online platforms, GEM’s social team ran grand opening contests, color wars, focus testing, and exclusive online promotions to increase chatter and reach in the weeks leading up to the grand opening. The team asked Sundae Spa’s online community to be part of a new chapter in the life of the brand, and it encouraged group participation and feedback in the shaping of the new store model. To supplement the social media efforts, the social media team leaked new store images, developed native content that promoted new organic hair and makeup products, and used email marketing to reach new layers of potential customers. In addition, the team employed a modest native media budget on Facebook to boost impressions to hundreds of thousands. In traditional media, GEM’s Film and Television department went to work on a graphic television spot aimed at promoting the Grand Opening, which aired on the local ABC affiliate. Finally, to augment the paid and social media campaigns, GEM ran a cross-promotion with Connecticut Kids Magazine, and a cause marketing promotion with The Sunshine Kids, a nonprofit that provides positive group activities and emotional support for young cancer patients. Before the Grand Opening, the Sunshine Kids were invited to Sundae Spa for a fun morning of free spa and salon services. GEM’s PR team drafted press releases and distributed them to all regional media, resulting in a television appearance on the local Fox affiliate morning show just days before the grand opening event. 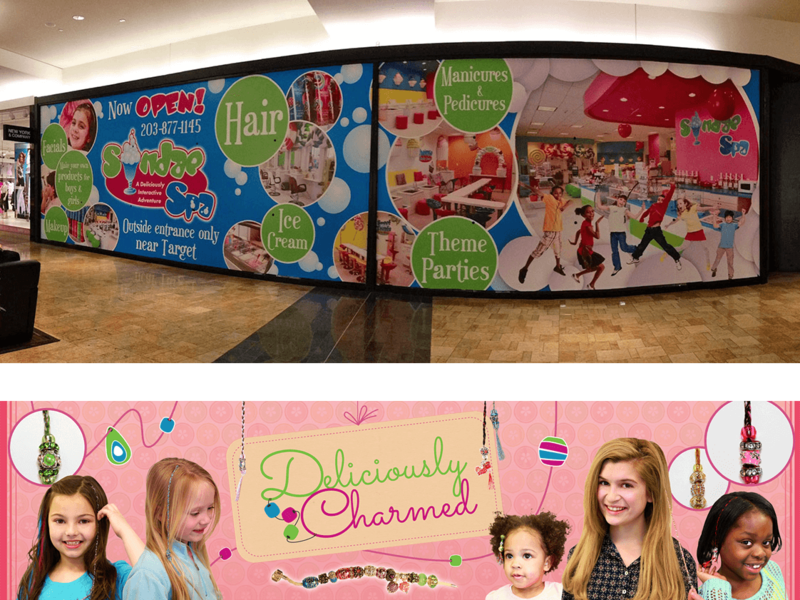 On opening day in January 2014, well over one thousand people stood in line for the official grand opening of Sundae Spa, marking the largest grand opening in the 55 year history of the Connecticut Post Mall. Since the launch, in-store business at the new location has consistently exceeded the original store’s revenue by 300%, and franchise activity has led to over 100 inquiries internationally. As Sundae Spa moves into high gear, it will continue to partner with GEM Advertising in what will certainly be a deliciously interactive adventure for many years to come.